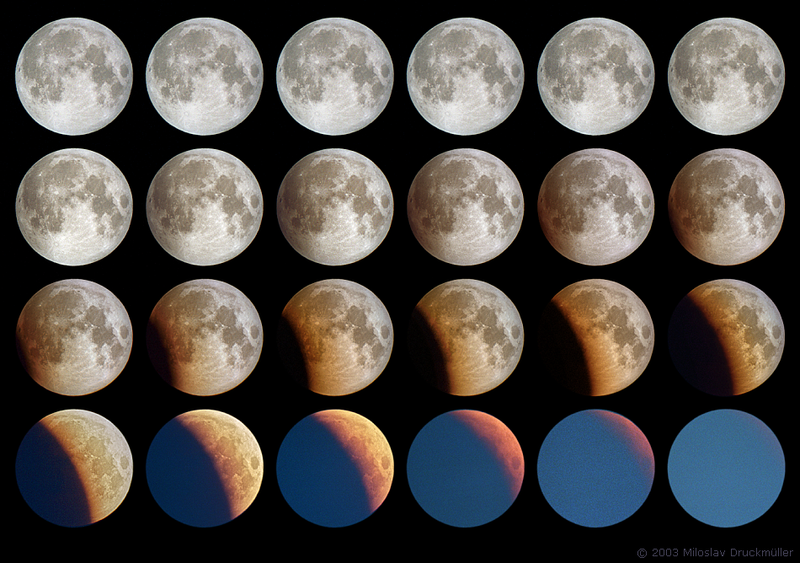 Total lunar eclipse on May 16, 2003 was not completely visible in the Czech Republic (central Europe) because the times of moonset, sunrise and total eclipse beginning were nearly the same. Regardless, the visible part of the eclipse was very interesting. The start of penumbral phase was at 01:07 UT (between images 1,2). The partial eclipse started at 02:03 UT (between images 12,13), i.e. 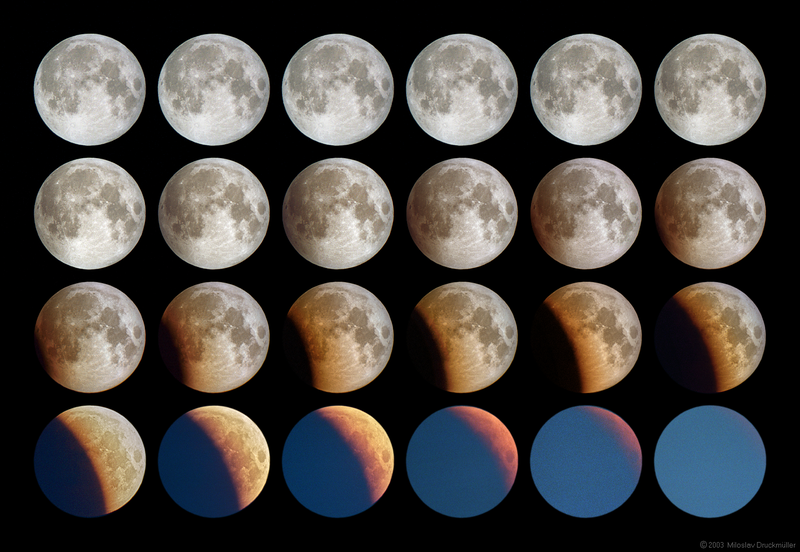 first two rows represent the penumbral eclipse, following two rows show the partial eclipse. Approximately at 02:30 UT (04:30 local time) the dawn begun to influence the observing significantly. About at five o'clock local time (03:00 UT) the Moon disappeared on blue sky near the horizon. The total eclipse started 03:14 UT. The moonset at 03:21, of course, was not visible because the dark Moon hidden in umbral shadow had no chance against day time blue sky. The course of lunar eclipse can be seen as the animation (MNG format) which I made from the same images you can see above. The only difference is that I didn't remove the blue sky abound the Moon in the animation. Click on the image or on the following reference to display the higher resolution image version (1.5 MB, PNG format).